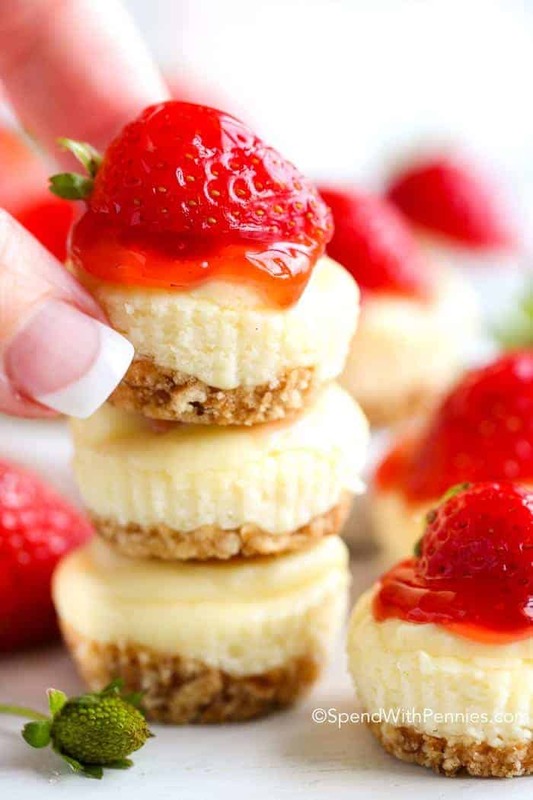 Mini Cheesecakes are the perfect bite! 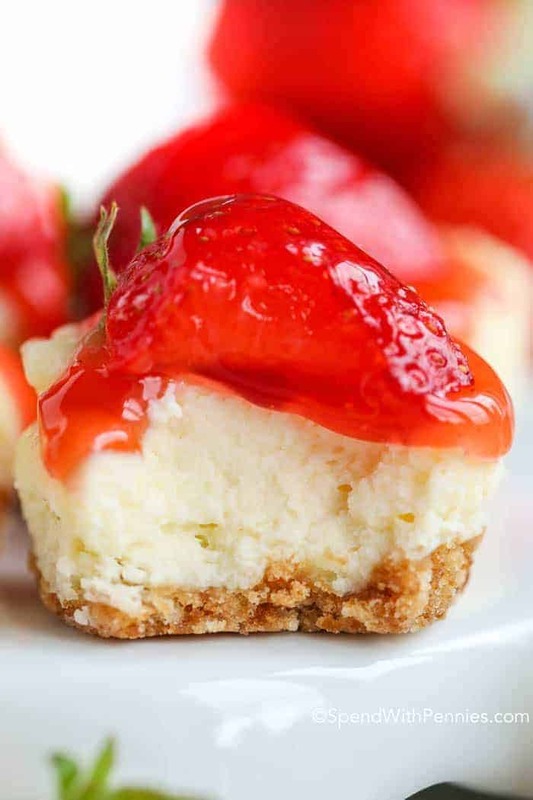 Everyone loves a good dessert and these easy handheld bites feature an easy and rich cheesecake nestled on a cookie crumb base with your favorite fruit toppings. This no-fail recipe is the perfect way to serve cheesecake to a crowd and a party favorite for any kind of celebration! I don’t eat a ton of desserts but I truly cannot resist a cheesecake! I’m not picky, it can be fruit topped, fruit flavored (like Lemon Cheesecake), served as Cheesecake Dessert Tacos or chocolate and caramel topping. 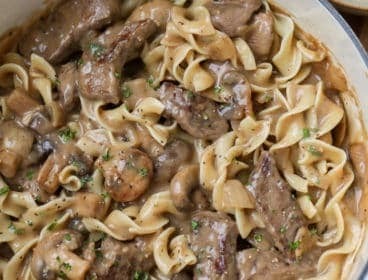 All of them are a win in my books! I do like no-bake cheesecakes but baked cheesecake is just SO much richer. They’re dense, rich and creamy and just so dang good (and even better when they’re bite-sized like these mini cheesecakes)! 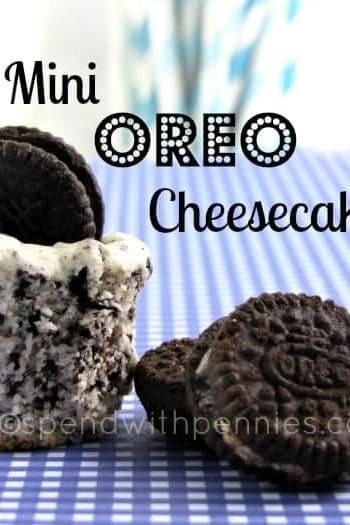 The best thing about this these individual cheesecakes is that this recipe is easy to make (aka no-fail). 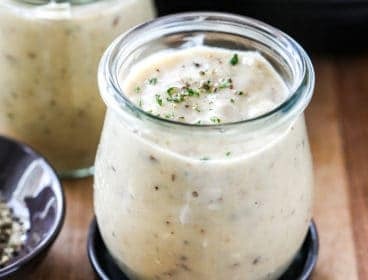 Making a baked cheesecake can sometimes be challenging and while these do have an amazing baked cheesecake texture, they’re actually really easy! No water-bath, hours of baking and cooling and oh yeah, no worries about cracks! 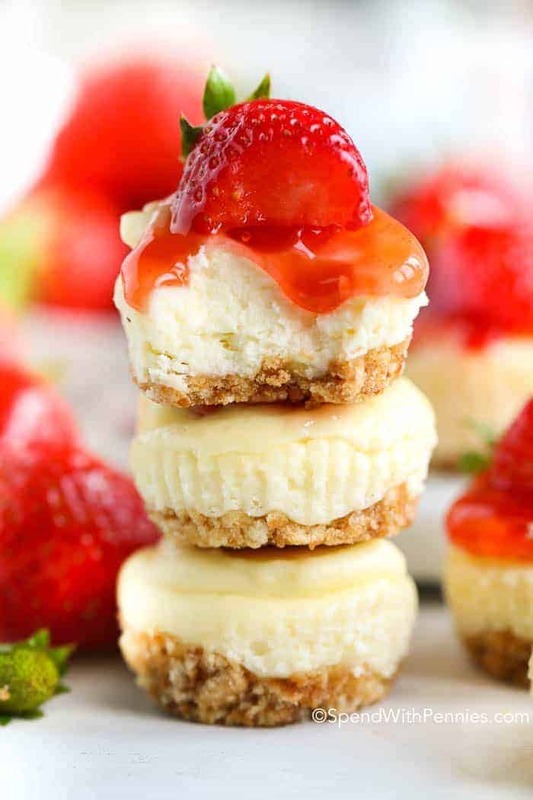 These sweet bitty baby mini cheesecakes are perfect to celebrate and they’re bite-sized! I made these to celebrate my friend Jocelyn’s(who blogs at Grandbaby Cakes) sweet little baby-cake! 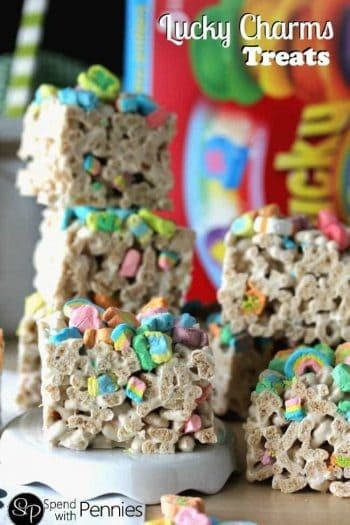 They’re great for parties and gatherings and of course baby showers! What could be more fitting for a baby shower than baby mini-sized desserts! While you can buy a mini cheesecake pan, I don’t bother and just use a mini muffin tin and this recipe makes 18 mini cheesecakes. 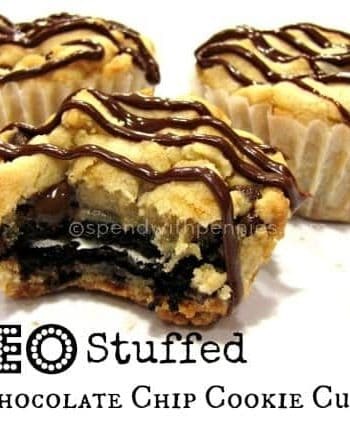 Lining your muffin tins with foil liners makes these easy to get out of the pan and simple to serve. I’ve used Nilla Wafers for the base but if you prefer a graham crust you can substitute graham cookies (or any other hard cookie you have on hand). 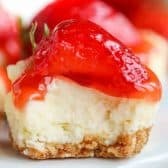 Cheesecake is one of my all-time favorites and baby bite-sized cheesecakes are the perfect dessert to bring along to any party! No Bake Pumpkin Cheesecake: A dreamy dessert with layers of cheesecake, spiced pumpkin and whipped topping all nestled in a graham crust. No-Bake Lemon Cheesecake: A creamy, tart, no-bake lemon cheesecake that can be made in minutes. Pumpkin Amaretto Cheesecake Bars The rich fall flavors of pumpkin and almonds laced throughout a rich cheesecake over a sweet graham cracker crust. 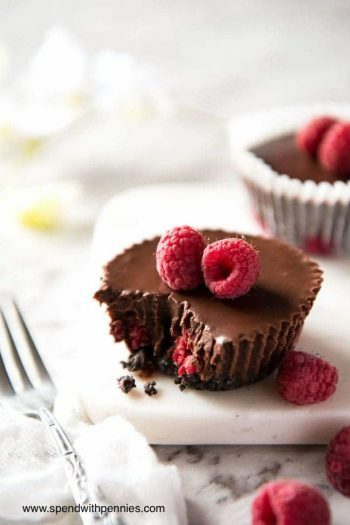 Raspberry Cheesecake Dessert Shooters A tart raspberry filling layered over a graham cracker crust, and then topped with a rich, creamy, no-bake cheesecake. Cherry Cheesecake Coffee Cake A delicious buttery coffee cake base under layers of cherry cheesecake and a little bit of streusel topping for a real taste of heaven! Oreo Chocolate Cheesecake Parfaits Layers of chocolate, a quick and easy no bake cheesecake and delicious Oreo cookie crumbs! Cheesecake Stuffed Strawberries Fresh juicy berries are filled with an easy no bake cheesecake for the perfect 2-bite dessert! 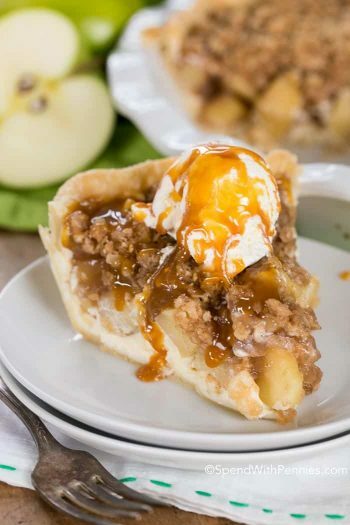 Upside Down Cheesecake Apple Pie A buttery crust filled with spiced apple pie filling and rich creamy cheesecake! Cheesecake Dessert Tacos Crisp sugar taco shells filled with an easy no bake cheesecake and topped with luscious fruit filling. Chocolate Cheesecake Cherries Chocolate dipped fresh ripe cherries filled with cheesecake. Mini cheesecakes are the perfect no-fail way to serve cheesecake to a crowd and a party favorite! 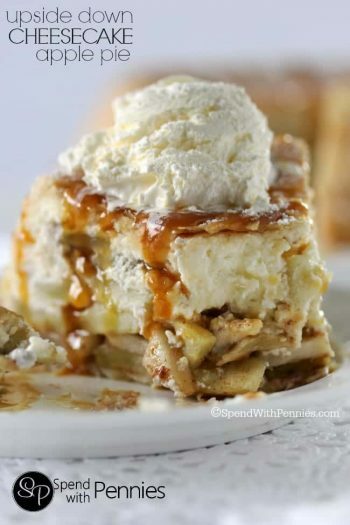 Upside Down Cheesecake Apple Pie!